Over the last decade, a number of companies have been developing exceptional finishes that cure and dry when exposed to UV. That isn't what we do. We make the lamps that make those finishes cure better. By working with a number of resin makers, craftsmen and even Fortune 500 companies, we have created and continue to create lamps for every application. In addition to building lamps, we test them with a wide variety of ballasts, for all kinds of applications. Then we put them together in kits designed to let you build your own UV curing rig. You can easily buy a dedicated UV curing rig from manufacturers for many thousands of dollars, and for some, this is the right answer. More often than not, a custom built rig is a better solution and will cost significantly less. It allows you to build the rig for your exact needs, custom fit it to your workshop, and load it with lamps designed specifically for your UV cure resin. Whether you need 4 foot, 5 foot or 6 foot lamps, we can help. Many people just use tanning lamps for their UV curing, which are often adequate, but not really designed for this application. We know because we've sold tanning lamps for 30 years under the SunMaster name. This has helped us grow a huge following, and to develop even better lamps designed specifically for curing, and convinced us to start a new company solely dedicated to the special needs of craftsmen just like you. You'll get a better and more consistent curing experience when you use Solacure lamps, when compared to any generic tanning lamp. All the frequencies you need, with little else, so they deliver more power for more even cures, faster cures and more consistent finishes. Buy online or call us at 1-800-600-8118. The fact is, anything that has a finish, likely has a possible UV curing finish available, and we can help. All our lamps are highly modified from standard UV lamps in a number of key ways. For starters, we use upgraded, high current cathode/anode ends. They are designed to only be used with rapid start or instant start ballasts, and can be operated on a variety of ballasts. For example, our FR32 lamps can be run on as little as 25 watts or as much as 60 watts. This allows you the maximum flexibility when designing your curing rig. We produce lamps in a variety of sizes and wattages, from 14 to 200 watts, from 12" to 71". We can produce custom lamps, too. We test all our products in one of four different labs, including our own facility in Greensboro, North Carolina. Additionally, Wahoo International (and a host of their customers) tests all Solacure products before they go to market. 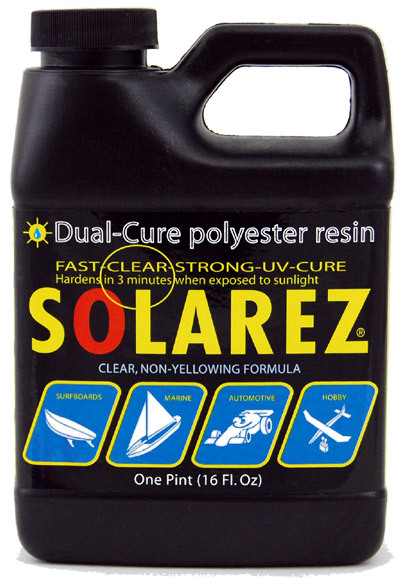 For our testing, we use Solarez products, made by Wahoo International, as well as other products. We are not affiliated with nor compensated by Wahoo International, but we do recommend and use their products. Visit their website at www.Solarez.com. 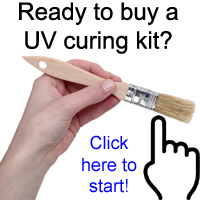 Looking for lamps or complete kits for UV curing? Start here!